The news of a South African pastor, Prophet Shepherd Bushiri, bringing a dead boy back to life is making the rounds on the social media. 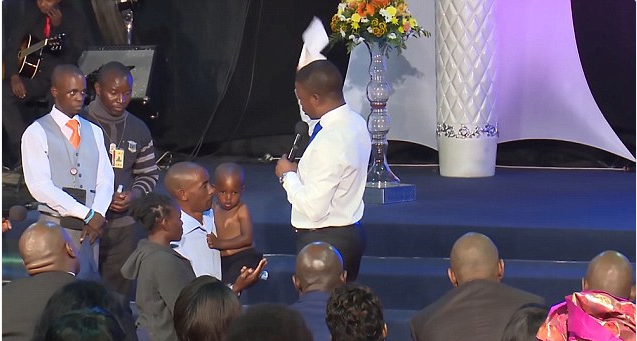 The boy, believed to be 3 years old was said to have been confirmed dead by a doctor. 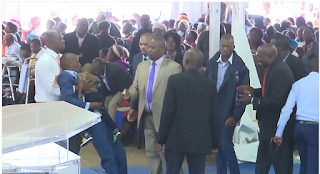 The father of the ‘dead’ boy stormed the altar with him, raising his hands and shaking him without response. 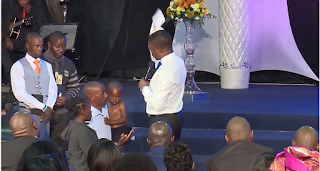 He walked round the church with the boy during a service at the Enlightened Christian Gathering Church in Pretoria. 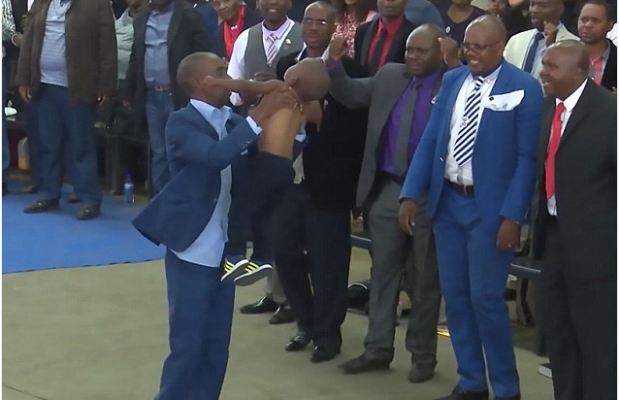 He was seen falling to the floor with his lifeless son as church workers supported him. The congregation held their hands out towards the boy and prayed. Bushiri was seen spraying an ointment they called ‘anointing oil Lion of Judah’ on the boy, who later regained consciousness.